What Is Important To A NSW Premier? When I think of what is important the first thing I think of is environment, then I think of children, next I think about my ideologies, so education and libraries, jobs, having a place to live and paying the bills, the ability to have contact with the outside world through radio, tv, and the internet, rather simple ideas I know but this is what is really important to the vast majority of people in perhaps different orders. Here is the last minute roundup as they race to the finish line on Saturday. Luke Foley NSW Labor Party is visiting the Nth Coast to suggest Labor will protect the Northern Rivers, there is a strong Green movement in the area’s he intends to visit. NSW Labor leader Luke Foley is heading to the north coast as the state election campaign heads into its final days. Mr Foley is spending Tuesday campaigning in Ballina, Lismore and Tweed where coal seam gas and electricity privatisation are big election issues. Labor leader Luke Foley has promised a ban on CSG mining across the northern rivers. 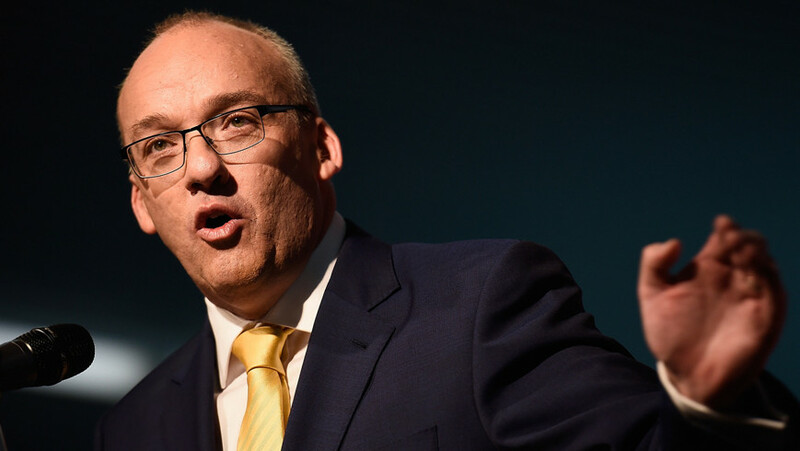 Labor leader Luke Foley has hit the hustings on the NSW north coast, telling residents they can stop coal seam gas (CSG) mining by turfing out the Nationals at Saturday’s election. The opposition leader has visited the site of the Bentley Blockade, where he met party faithful and anti-CSG campaigners. “Sink the Nats and that’s the end of coal seam gas forever,” Mr Foley told the crowd. “It won’t take riot police, it will take the power of the ballot box,” Mr Foley told the 100-strong crowd. Last year the site played host to a large protest against a proposed CSG mine, and the Baird government subsequently suspended CSG licences in the area. But local residents say they are fearful CSG will make a comeback. “The local member for the Nationals hasn’t supported us in any way, whatsoever,” one man told Mr Foley. Mr Foley is spending Tuesday touring three safe National seats – Lismore, Tweed and Ballina. Despite each seat being held by the Nationals by traditionally safe margins of more than 20 per cent, Labor says they are in play thanks to local opposition to CSG and electricity privatisation. Mike Baird headlining in the Western Suburbs this week. 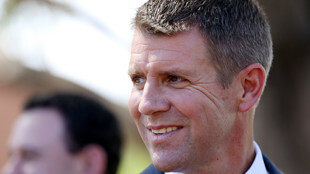 Premier Mike Baird will spend the day campaigning in Sydney’s western suburbs in the lead up to Saturday’s election. He’ll be in Penrith where he will be joined by Minister for Disability Services John Ajaka and then the Minister for Sport and Recreation Stuart Ayres. I found this upsetting doesn’t he realise his government and past ones have removed our kids? The community is aghast when told tales of the abuses from the past at Royal Commissions and then add a multitude of sorry’s and yet nothing has changed about removing children, the practice continues making million’s of dollars for individuals and leaving families torn apart. Yet at election time, Mike Baird wants to happily comment on budgie smugglers and Kim Kardashian and what the previous Premier did wrong. I want to hear about child protection and the truth about the violent crimes against women and children actually going up, and what might be done to change these situations for the positive. NSW Premier Mike Baird has given his verdict on Kim Kardashian, budgie-smugglers and the perils of accepting bottles of Grange. With four days until NSW voters head to the polls, Mr Baird took a break from the usual campaign fodder on Tuesday in a radio interview with Brendan “Jonesy” Jones and Amanda Keller. He has revealed he never dreamed of a life in politics as a young man. “I wanted to be captain of the Australian cricket team, that would have been my dream job,” Mr Baird told the duo on the Australian Radio Network. “In fact at university I wanted to be a journalist – I mean I knew that I wasn’t going to get (to the Australian cricket team) on my ability … so I put in an application in to the ABC to be a sports cadet. He also sought to distance himself from his Liberal party colleagues Peter Debnam, Ted Baillieu and Tony Abbott – at least insofar as their beach attire is concerned. Even his father, former politician Bruce Baird, has also been known to sport Speedos. “He proudly walks around in sluggos,” the premier said. When asked to indulge in a spot of word association, Mr Baird declared reality TV star Kim Kardashian as “bad”, poles and wires “good” and a fine bottle of Grange as “okay” and “in moderation”. “If you don’t take the bottle,” he added. The latest Ipsos poll by Fairfax Media has predicted a resounding coalition victory. Mr Baird says the election will be tight, telling ABC radio “we’re going to fight for every vote”. “The BOCSAR data clearly shows that the rates of most crimes have been dropping since 2001 and are at lower levels than they were 25 years ago. But while there have been substantial declines in breaking and entering and motor vehicle theft, domestic violence and sexual assault rates have risen since the early 1990s. For this reason, experts say talking about whether the overall “level” of crime is low doesn’t give the full picture, because it ignores trends in serious crimes that are less common or might not be as widely reported. Mr Baird’s claim is selective”. New South Wales Premier Mike Baird has put law and order policy at the forefront of his re-election campaign. On the campaign trail he announced that a re-elected Coalition Government will introduce new laws to restrict the activities of bikie gangs and serious criminals, and bring down crime rates. But Mr Baird also claims that crime in the state is at its lowest level in decades. “What we have seen in NSW over many years under Labor was they made many announcements, but crime got worse,” he told reporters in Granville on March 3, 2015. ABC Fact Check takes a look at NSW crime rates. The Premier’s office told Fact Check the source of the claim was quarterly reporting from the NSW Bureau of Crime Statistics and Research (BOCSAR). The latest BOCSAR quarterly report in September 2014 records that all 17 major crime categories either fell or remained stable compared with the previous two years. The same stable or downward trend for those major crimes was recorded in the three months to June 2014. Mr Baird’s office said this was the first time that this result had been achieved in two consecutive quarters since 1989 when BOCSAR began quarterly reporting. But there were several other times over the past 10 years when consecutive quarterly reports showed the same trend. For example, in the June, September and December quarters in 2010 (when Labor was in power) the rates of these 17 crimes fell or were stable. Matthew Willis, research manager at the Australian Institute of Criminology, told Fact Check that looking at quarterly trends is reasonable, but cautioned that they can fluctuate with seasonal variation. Alcohol-related crimes are a good example of this problem. They typically rise and fall with warmer and colder weather. For this reason Mr Willis said longer-term data was a better indicator of trends in crime rates, and the most reliable measure of crime was to look at rates per 100,000 people because this takes changes in population size into account. In notes to its quarterly reports, the bureau also warns that its method for identifying trends “is not sensitive to seasonal variations; it is sensitive only to a generally increasing or generally decreasing trend over the time period examined”. The bureau produced a report last year on the long term trends in 10 categories of property and violent crime in NSW, covering 1990 to 2013. It found that for most offences, there were “significant downtrends in recorded rates since 2000”. The report shows that rates for all three robbery offences – without a weapon; with a firearm; with a weapon not a firearm – are now below those recorded in 1990. The rate for robbery with a firearm is 73 per cent lower than in 1990. Burglary and motor vehicle theft are also at their lowest levels since 1990. Similarly, the murder rate, expressed as the number of murder victims per 100,000 people, has trended downwards over the last 24 years, reaching its lowest point of 0.9 murder victims per 100,000 in 2012, compared with 1.1 in 2013. However, the data for assault and sexual assault showed the opposite result. These crimes recorded “significant long term upward trends” since 1990, the report said. The assault rate has been steadily increasing over the last 24 years, up 74 per cent since 1990 when the rate was about 500 incidents per 100,000 people, peaking at over 1000 incidents per 100,000 in 2002 and then falling since then. Similarly, the rate of sexual assault has increased by 125 per cent and other sexual offences by 95 per cent since 1990. Before 1995, reported data on assaults was not broken down into domestic violence-related and non-domestic violence-related offences. Fact Check asked BOCSAR to analyse the rates of the 17 major crime rates back to 1995 when assault was split into domestic and non-domestic violence categories. The data shows that the average annual increase in domestic violence-related assault is 3.5 per cent over the last 18 years. Karen Gelb, a research fellow in The Justice Research Group at the University of Western Sydney, said the NSW pattern of crime reflects what experts call “the great crime drop” that has been observed across Australia and in other countries. In the US crime rates fell as an epidemic in crack cocaine ended. “There’s been a similar suggestion that BOCSAR made here (NSW), when heroin availability and use went down and in particular, property theft rates went down,” Dr Gelb said. Mr Willis said increased security has contributed to the fall in crime rates. “Motor vehicle theft has declined quite dramatically and that’s directly in line with the decision to include vehicle immobilisers as a feature in all new vehicles,” he said. Dr Gelb said its not useful to look at overall crime rates because it can mask trends in the less prevalent crimes, like assault. She told Fact Check some offences, particularly assaults, can be explained in the context of different policing practices and different community expectations and reporting practices. “We know that police are now more likely to record domestic violence assaults,” she said. Chris Cunneen, who formerly worked for BOCSAR and is now a professor of criminology at the University of NSW, said crimes like domestic violence may still be underestimated because they are under-reported. “If you look at what’s reported to the police and what victimisation surveys show, the levels of unreported sexual assaults are very high,” he said. In the notes to its quarterly reports, BOCSAR explains that its data comes from criminal incidents reported to police and recorded on the police’s Computerised Operational Policing System (COPS). The data represents reported incidents rather than offences, except for murder where the data represents the number of victims. The bureau says an alternative measure of the level of crime in Australia is available from crime victim surveys, which estimate the proportion of crimes which are not reported to police, and are therefore not recorded in the official statistics. “In particular, personal crimes, such as assault and robbery, are less likely to be reported than crimes which involve households,” the notes say. The ABS has been conducting crime victimisation surveys since 2008. The victimisation rate in NSW for sexual assault has remained steady at 0.2 to 0.3 people per 100,000 since 2008-09, while the victimisation rate for robbery was 0.6 per 100,000 in 2008-09 and has been 0.3 per 100,000 since then. The reporting rate for both of these crimes shows that between 50 per cent and 60 per cent of these crimes were reported to police in 2013-14. Dr Gelb said victimisation data complements police reported data. The BOCSAR data clearly shows that the rates of most crimes have been dropping since 2001 and are at lower levels than they were 25 years ago. Mr Baird’s claim is selective. Just days out from the state election one of New South Wales’ biggest unions is being accused of outright racism. The Construction, Forestry, Mining and Energy Union is launching an ad campaign tonight singling out our biggest trading partner – China – in an unprecedented attack. The advertisement claims China’s Government will control the NSW power industry – and much more besides. The ad states that in 2014 the State Grid Corporation of China, wholly owned by the Chinese government, met in secret with the NSW treasurer last year to discuss the sale of electricity assets. Treasurer Andrew Constance admits he has met with State Grid of China. A CFMEU spokesperson denies the advertisement is racist, saying the lease could lead to China not only controlling NSW power transmission but also Canberra’s – Parliament House. Premier Mike Baird’s worked hard to develop strong China trade links worth over 30 billion dollars a year. He’s slammed the union campaign. “Scare campaign being run by the unions trying to run against it – they will keep doing that – and obviously that is having some sort of influence but the truth is a very different matter,” Baird said. Labor leader Luke Foley disagrees. “I’m with the great mass of people in NSW who own the electricity network and do not want it sold from under them,” he said. Kath says to hold your children tight because you never know when the government is coming to take them away. 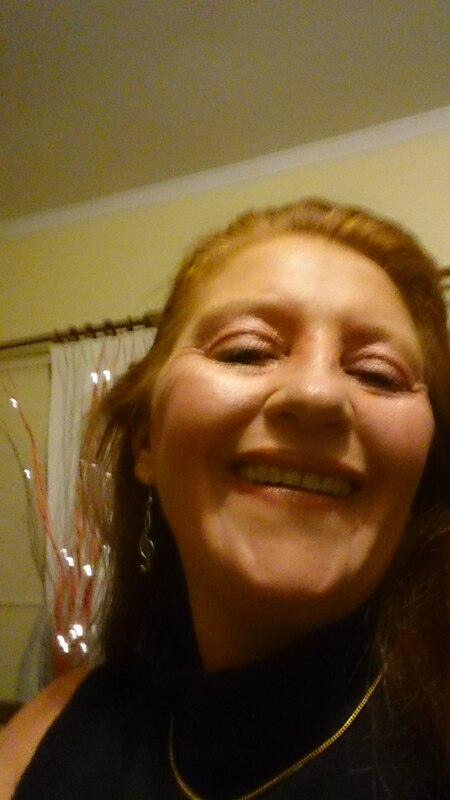 In the end I don’t have tv or a phone line for broadband so I want to ask the LNP how do I get myself well and further educated (sigh) to be job ready, when the government house I got given has taken months to fix on my low income? How come I have no digital TV ready reception? Now each of these luxuries is out of my financial situation to repair. I have done this in every government place I have been in but now I don’t have the kind of money needed to pay for infrastructure of a government house. I have spent all my money to eradicate pests, weeds and diseases from a trashed house they handed me the keys to. In the end I want to know who among the politicians will stand up and face the simple needs of the common people? I love my children, I would like to see someone stand up against DoCS/FaCS, you say it’s the hardest job, but wait try put yourself in the shoes of that child, that parent, and that family.